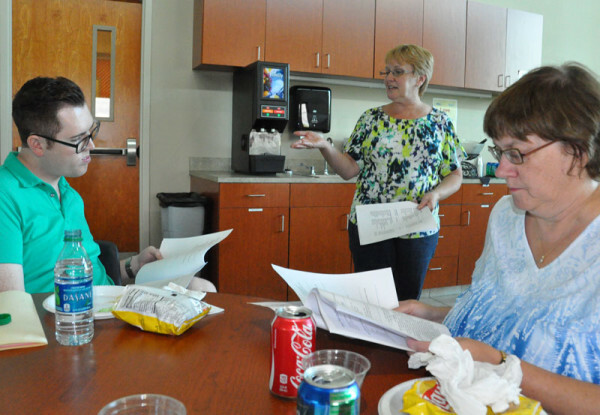 Huntington University’s Townsend Institute for Leadership and Counseling is kicking off its first year by hosting an opening training event on August 29. 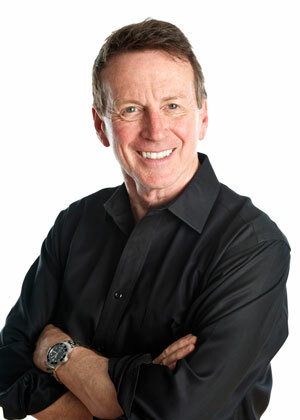 Registration for the event begins at 8:00 a.m. in the Merillat Centre for the Arts, with the welcome starting at 8:30 a.m.
New York Times best-selling author Dr. John Townsend will give counseling and leadership training on his Character-Plus-Competency model in the morning. It will be followed by a luncheon at College Park Church, 1945 College Ave., Huntington. Townsend will speak on both topics again in the afternoon. The day ends at 5 pm with a meet-and-greet with Townsend, faculty, and Institute Fellows. Townsend has assembled a few of his colleagues to be Institute Fellows, who are experts in their field and a few bestselling authors, to add value to Institute students. Institute Fellows Dr. Gary Oliver, Dave Lindsey, Wayne Williams, and Steve Arterburn will speak live at the opening event. The other five speakers–Kenneth Blanchard, Drs. John and Julie Gottman, Dr. Henry Cloud, and John Ortberg–have each created a special video to be shown at the event. “We are really excited that we can bring such world-class leaders to Huntington University to train not only our students in the Townsend Institute but area leaders,” said Scott Makin, Director of the Townsend Institute for Leadership and Counseling. This is the first of monthly training events that will take place through the Townsend Institute. Upcoming events will take place on September 18, October 23, December 11, January 22, February 26, March 11, April 29, and May 12. There is no charge to attend the opening event. However, reservations are required. There is a $12 charge for the luncheon, and seating is limited to the first 200. Reservations and pre-payments are required by Monday, August 24. The first of its kind, the Townsend Institute offers degree programs based on his Character-Plus-Competency model. The curriculum is biblically based, addresses the internal world of the leader and client, and uses the latest neuroscience research. It focuses on training the adult learner to help others grow and heal in the personal, relational, behavioral, and professional aspects of life. It is designed to be practical and skill-based, allowing the student to become a practitioner who is competent both in theory and technique. The Institute offers a Master’s in counseling, a Master’s in organizational leadership, and credentials in executive coaching, counseling, and organizational leadership. More than just learning the Townsend model, students in the programs will also be personally taught by Townsend. He will lead sessions that demonstrate the different modules from his character growth model. 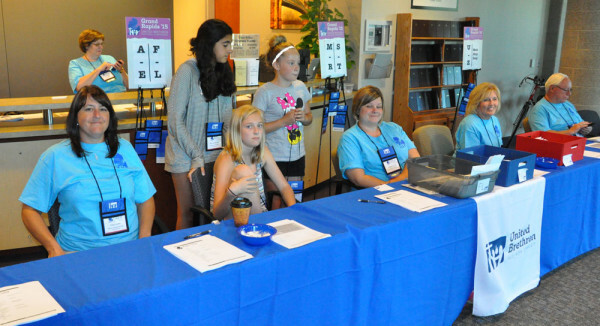 The program is offered onsite at the Huntington and Fort Wayne campuses, as well as online. The program is drawing both national and international students. For the online programs, students from all across the United States and international students from Africa and Holland are enrolled. There is still space in the program, and applications are due by August. The Avlon congregation on anniversary Sunday. Pastors of Avlon UB church. 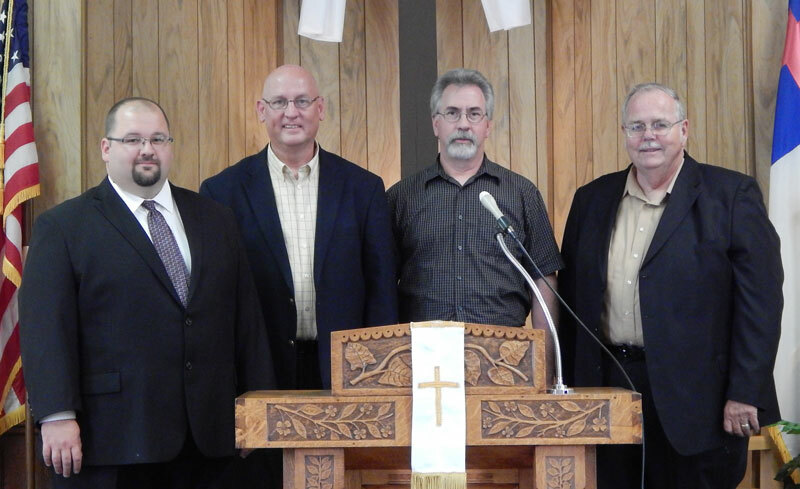 L-r: Current pastor Jason Sheets, David Hedrick, Edward Daley, and Chuck Wheatley. 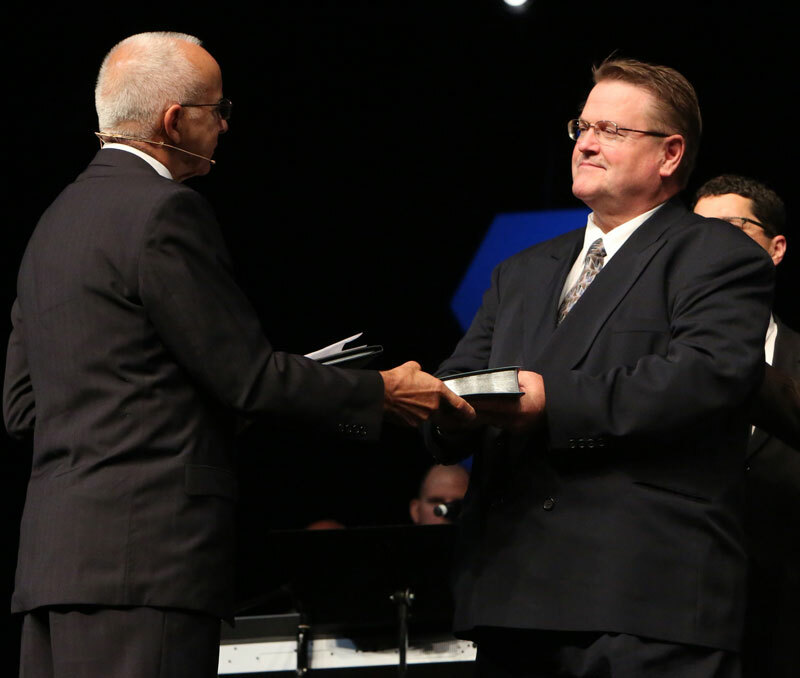 David Hedrick followed Herbie Householder, who pastored Avlon for 40 years. Jason Sheets followed Chuck Wheatley. 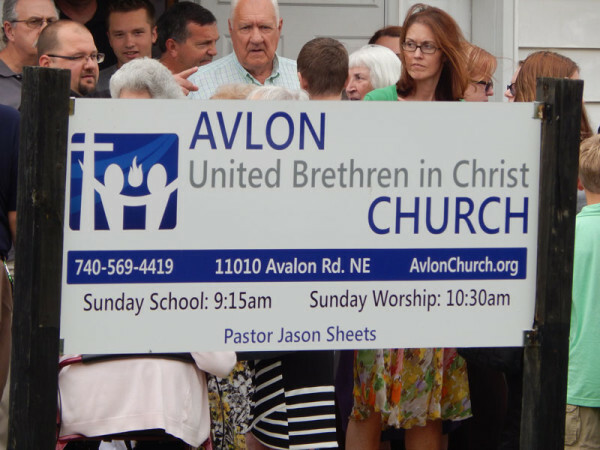 Avlon UB church celebrated its 125th anniversary on April 12, 2015, with a Homecoming Celebration. 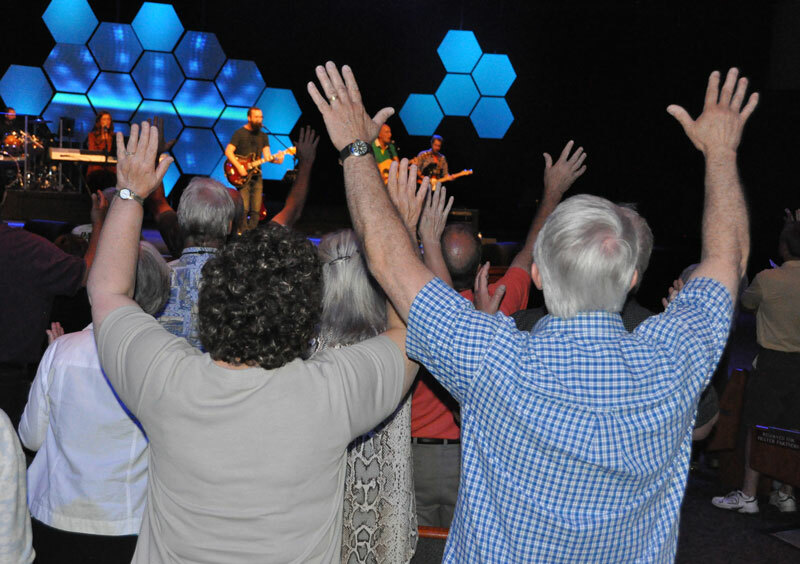 The day began with the morning worship service, when pastor Jason Sheets shared a message titled “Leaving a Lasting Legacy,” with the text being from Proverbs 13:22. 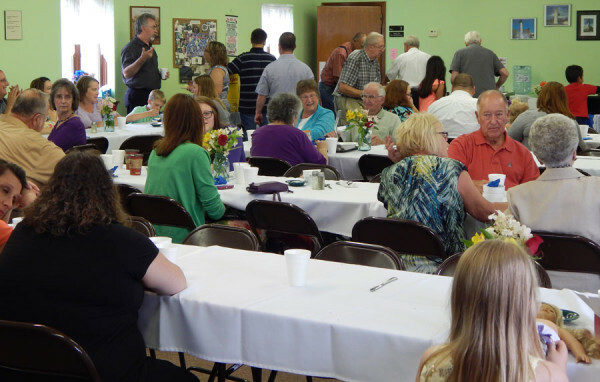 After the service, the congregation gathered in the fellowship hall for a meal. On display were several pictures and items from the Avlon’s past. There was also a 125th plaque that everyone had the opportunity to sign; it will be on display in the fellowship hall. After lunch, those in attendance assembled in front of the church for a group photo, then everyone gathered inside for the afternoon service. All of the remaining previous pastors shared about their time and experiences at Avlon. At the conclusion of the service, a dogwood tree was planted in front of the church and a time capsule was assembled that will be opened at the church’s 200th anniversary. On July 16, the US National Conference elected eight persons to the Executive Leadership Team–one minister and one layperson from each of the four regions. Staggered terms were implemented with this National Conference to provide some continuity. All members previously served two-year terms. Now, the eight elected members will serve four-year terms, with half of them being elected every two years. To get the stagger in place, this year half of the ELT members were elected to two-year terms and half were elected to four-year terms. Beginning in 2017, with the stagger in place, everyone will be elected to four-year terms. Sometime prior to the October 2015 ELT meeting, another four persons will be nominated by the bishop and then appointed by the ELT. All appointed members will serve two-year terms. Here are the eight persons elected and the length of their terms. Clergy: 2 years. Dennis Sites (left), senior pastor of Jerusalem Chapel (Churchville, Va.). Lay: 4 years. Sherwood Cook (right), a retired construction administrator from Mount Pleasant UB church (Chambersburg, Pa.). Clergy: 4 years. Greg Voight (left), senior pastor of Lancaster UB church (Lancaster, Ohio). Lay: 2 years. Todd Rhoades (right), a writer and website administrator on Christian leadership issues from New Hope Community Church (Bryan, Ohio). Clergy: 4 years. Randy Carpenter (left), senior pastor of Sunfield UB church (Sunfield, Mich.). Lay: 2 years. Bob Tobey (right), a retired schoolteacher from Colwood UB church (Caro, Mich.). Clergy: 2 years. 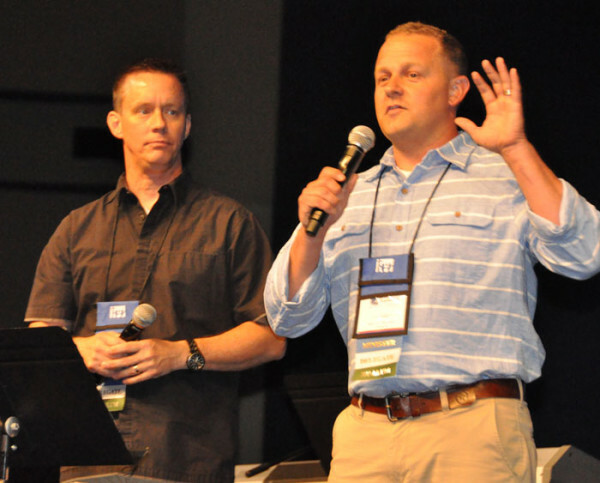 Gary Dilley (left), former Director of Global Ministries and current senior pastor of College Park UB church (Huntington, Ind.). Lay: 4 years. Kevin Smith (right), national sales manager of Romar MEC/Fit Up Gear from Zanesville UB church (Zanesville, Ind.). Five of them were re-elected from the 2013-2015 team. The new members are Randy Carpenter, Kevin Smith, and Todd Rhoades. You can also view them here. Four additional persons will be added as the ELT appoints them. L-r: Jeff Eagan (Executive Director of Joy of Living), David Bolich, Hayden and Devon (Prince Street), Jeff Bodziony (pastor of Forward Church), and a member of the Forward Church community (click to enlarge). 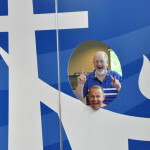 Jim Bolich (right), senior pastor, Prince Street UB church (Shippensburg, Pa.). God has been doing something special in Cleveland, Ohio. At the 2011 US National Conference, Andy Sikora, senior pastor of ReNew Communities (Berea, Ohio) shared his vision for planting a church in Cleveland. At that time, Prince Street Church (Shippensburg, Pa.), which was looking for a way to return to participating in launching new churches, partnering financially with ReNew. But we wanted to do more than send money. We wanted to send people who would not only help ReNew in their work, but also learn lessons from ReNew that we could apply in Shippensburg. 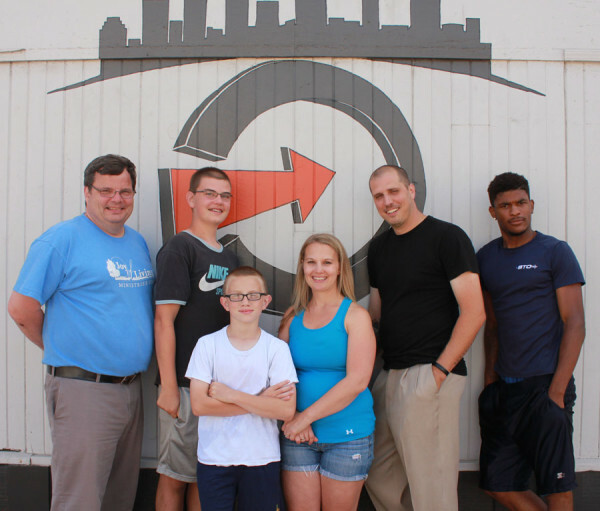 The following summer, a short-term mission team from Prince Street headed to Cleveland. While there, Andy put us in contact with a fellow church planter named Jeff Bodziony, who was launching a church called Forward Church in the heart of Cleveland. Suddenly, our single partnership reproduced. Since then, multiple teams have partnered with Forward Church, assisting in construction projects and a variety of “street level” ministries. Meanwhile, a couple from Prince Street named Burt and Tana Hey have been serving as fulltime missionaries at Joy of Living Ministries in Brinkhaven, Ohio. Joy of Living specializes in providing Christian summer camp experiences for inner-city youth, especially in Cleveland–actually, from the very same neighborhood as Forward Church. For years, Prince Street has been sending short-term teams to assist Joy of Living, both with construction and help with their summer camp programs. During the 2015 US National Conference, God brought all that together in a harmony of ministry that could never be orchestrated by human minds. Joy of Living brought its staff (including David Bolich, son of Prince Street Pastor Jim Bolich) to the streets of Cleveland to provide a week-long summer camp program for kids in Forward Church’s neighborhood. Prince Street contributed the financial backing necessary for the project as well as a support staff team. In the end, a beautiful picture emerged of what’s possible when God’s people work together for his glory. 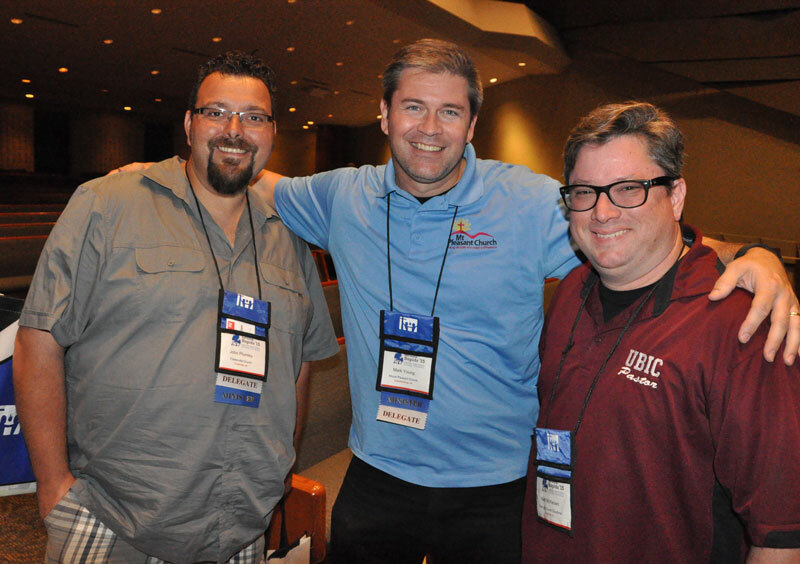 Nearly 450 photos from the July 15-18 US National Conference have been posted on the United Brethren Facebook page. You’ll find them in these albums. Tuesday, July 14 (53 photos). The day of preparation, when the National Office staff and local volunteers arrive to begin setting things up. Wednesday, July 15 (77). Preparations continue, with registration starting at noon. Attendees arrive all afternoon. At 6:30, the conference begins with the first evening worship service. The worship team from Colwood UB church (Caro, Mich.) leads the worship time, and Dr. Wayne Schmidt speaks. A reception is held afterwards. Thursday, July 16 (78 photos). The day starts with a breakfast for delegates, sponsored by Logos Bible Software. The business session consumes the rest of the morning and afternoon. 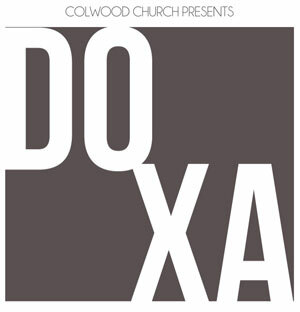 The evening service again features the Colwood worship team and a message from Dr. Wayne Schmidt. Afterwards comes a reception sponsored by the exhibitors. Friday am, July 17 (73 photos). The morning features 19 workshops in two time slots. July l7 Retiree Luncheon (27 photos). Retired pastors and spouses met at noon in the ResLife Olive Tree restaurant for a very nice meal. Dr. Kent Maxwell hosted the event, and gave the pastors and spouses opportunity to give an update on their lives. Dr. Mike Wanous, from Huntington University, spoke about his spiritual and occupational journey. Friday pm, July 17 (38 photos). A new worship team for the evening service, this one from First UB church in Holly Hill, Fla. Dr. Wayne Schmidt gives his final message to the conference. After the service comes an ice cream reception sponsored by Global Ministries. Saturday, July 18 (97 photos). 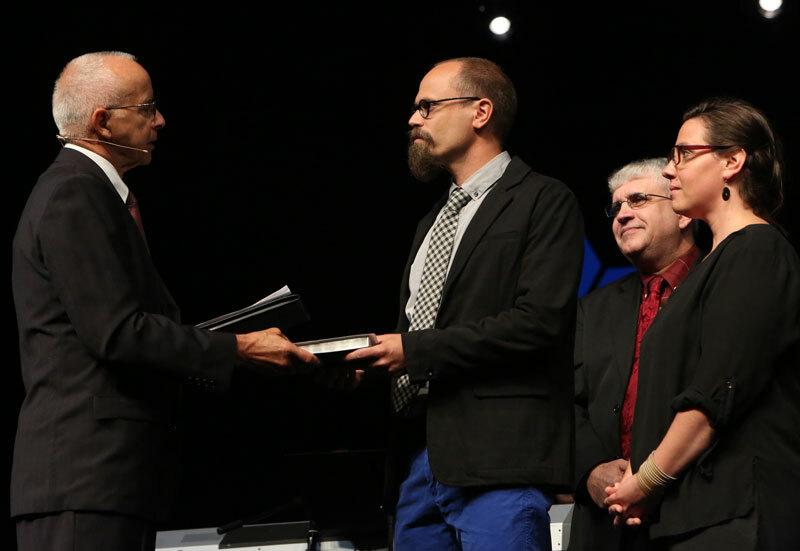 The closing service, at 9:30, features a number of elements: the Florida worship team; a consecration time for Todd Fetters, as he prepares to assume the responsibilities of the bishop; a message from Todd Fetters; the ordination of six men; a communion service; and a clever promotional for the 2017 US National Conference in Lancaster, Pa.
Colwood UB church (Caro, Mich.) has just released a full-length worship album titled “DOXA.” The album has 3 original songs and 7 re-arranged hymns. 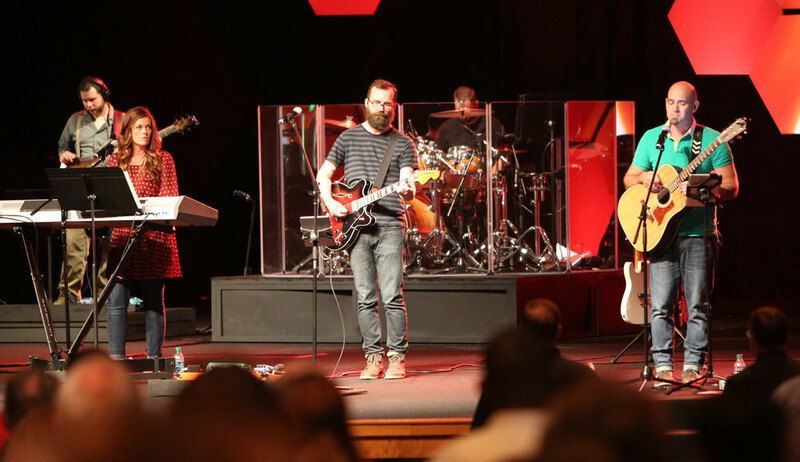 The music team from Colwood led worship last week during the first two nights of the US National Conference. Ricky Hull, pastor of Crossroads UB in Charlotte, Mich.), with his wife, Jami. 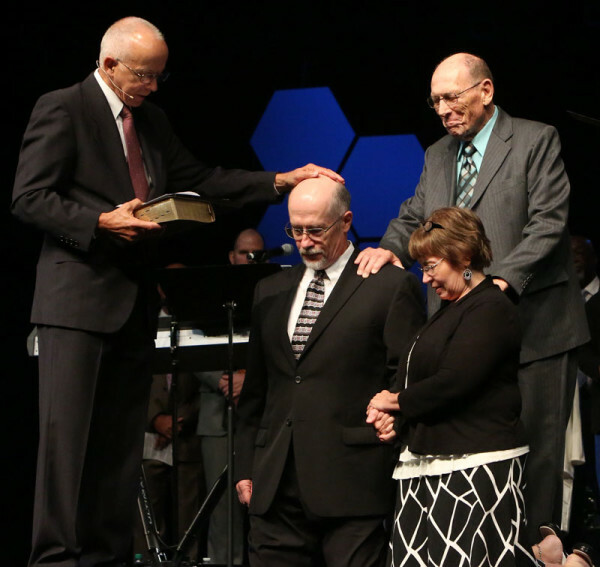 The ordination of Bill Blue, with his wife, Charlene. Rev. Carlson Becker is standing behind them. Jeff Evans, director of Youth Ministries at Morning Star UB in Kokomo, Ind. The ordination of William Flamer, with his wife, Mary. Standing behind them are Ed Harvey (right) and Roland Albert. 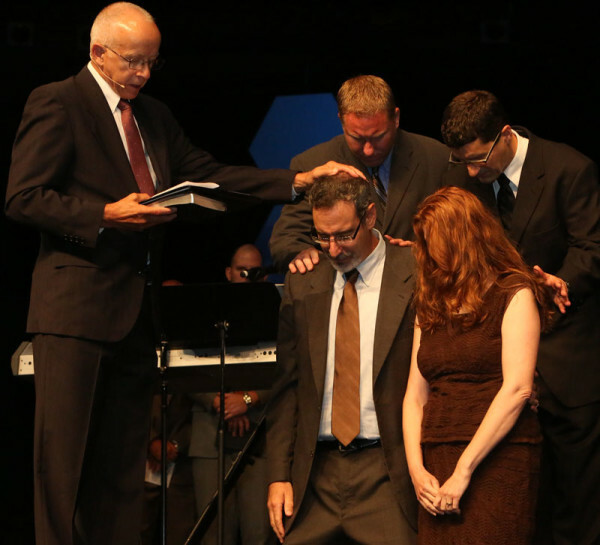 The ordination of Brian Kramer, with his wife, Amy. Standing behind are Steve Fish (right) and Jason Holliday. Mark Vincenti, associate youth pastor of College Park UB church (Huntington, Ind. ), with his wife, Angela. In the back is Gary Dilley, pastor of College Park Church. 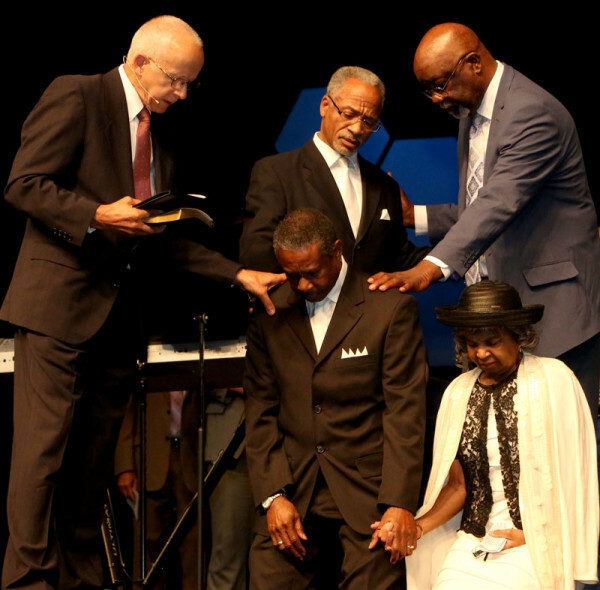 Six men were ordained as United Brethren elders during the concluding service of the US National Conference on July 18, 2015. Two of them currently serve as senior pastors, and the other four serve in staff roles. Bishop Emeritus Paul Hirschy officiated at the ordination of each person. Here are the six persons who were ordained at National Conference. 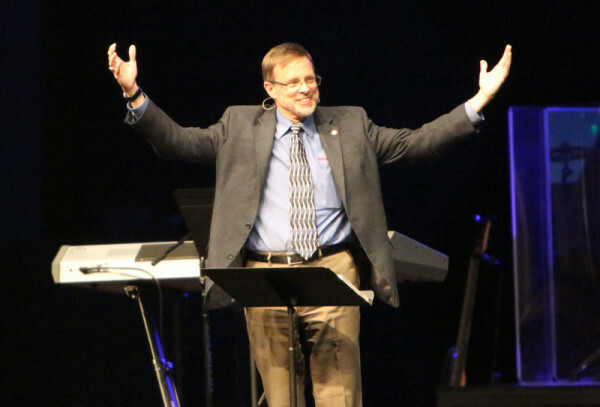 Bill Blue has been senior pastor since 2011 of Shoreline UB church in Oak Harbor, Ohio. Prior to that, he served in youth ministry at several UB churches going back to 1976. Assisting were Rev. Carlson Becker and Bishop Emeritus Paul Hirschy (who in this case filled a double role, since he also officiated). Jeff Evans has been Director of Youth Ministries at Morning Star UB church (Kokomo, Ind.) since 1999. Assisting in the ordination were Greg Reed, senior pastor of Morning Star church; and Steve Fish, teaching pastor at Emmanuel Community Church in Fort Wayne, Ind., and a former staff member at Morning Star. William Flamer is assistant pastor of Park Layne UB church in New Carlisle, Ohio. Also serving there as co-assistant pastor is his wife, Mary, who was ordained in 2011. Assisting were Roland Albert, pastor of the Park Layne church; and Ed Harvey, pastor of the Lighthouse UB church in nearby Dayton, Ohio. Ricky Hull has been senior pastor since March 2015 of Crossroads UB church in Charlotte, Mich. Before that, he pastored Mt. Hermon UB church in Pomeroy, Ohio. Assisting were Rocky Spear, senior pastor of Mongul UB church in Shippensburg, Pa.; and Todd Fetters, director of National Ministries. 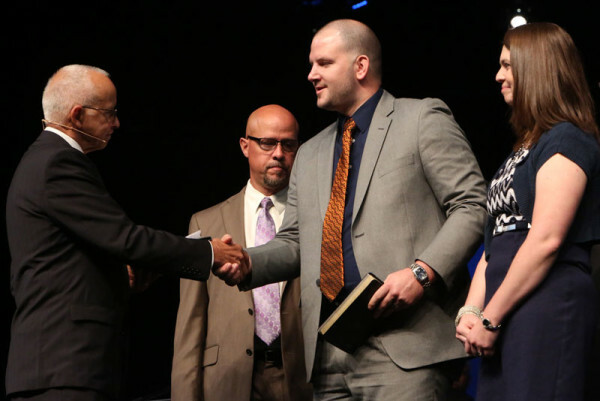 Brian Kramer is Pastor of Student Ministries at Emmanuel Community Church in Fort Wayne, Ind. Before that, he was youth pastor of King Street UB church in Chambersburg, Pa. Assisting were Jason Holliday, Pastor of Family Ministries at Emmanuel; and Steve Fish, Teaching Pastor at Emmanuel. Mark Vincenti has been Associate Youth Pastor since 2011 of College Park UB church in Huntington, Ind. Before that, he was youth pastor for 11 years at King Street UB church in Chambersburg, Pa. Assisting were Gary Dilley, senior pastor of College Park church; and Les Stine, Minister of Pastoral Care at King Street Church. Registration volunteers ready for attendees to arrive. L-r: John Plumley (Fowlerville, Mich.), Mark Young (Chambersburg, Pa.), and Josh McKeown (Holly Hill, Fla.). Emcees for the week are pastors from two nearby UB churches: Josh Good, right, pastor of Homefront UB in Grandville, Mich.; and Randy Carpenter, pastor of Sunfield UB in Sunfield, Mich.
Mike Whipple and the worship team from Colwood UB church (Caro, Mich.) opened the conference during the Wednesday night service. A great worship time during the opening service. The reception after the evening service. The 2015 US National Conference got off to a great start on Wednesday, July 15. 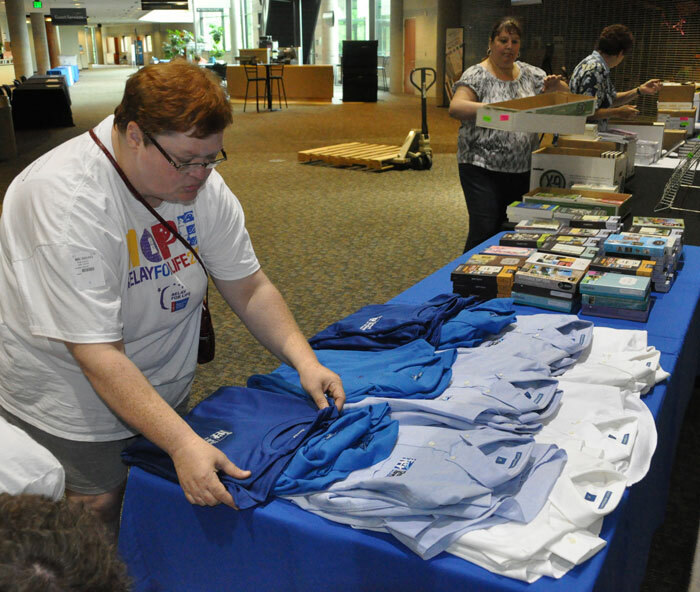 Throughout the morning, volunteers and staff worked to get everything ready, especially in the registration area. 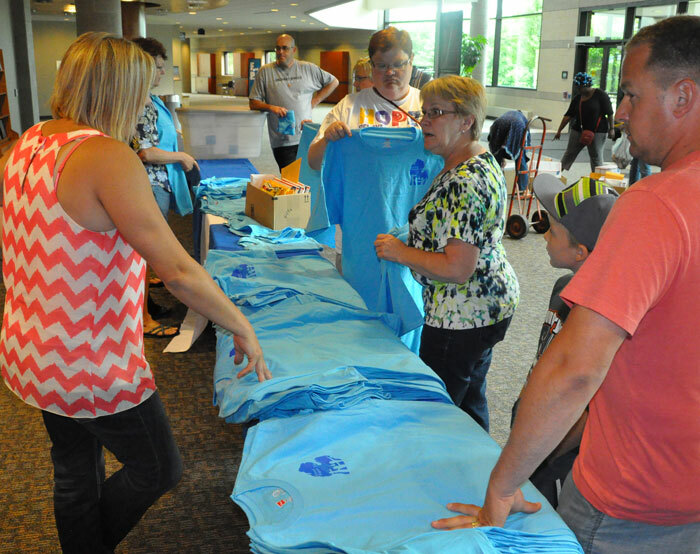 Around noon, people began arriving to register, and they trickled in throughout the afternoon. At 6:30, the conference officially began with the opening service. Todd Fetters, director of National Ministries, gave some remarks to begin the service, and then turned it over to co-emcees Josh Good and Randy Carpenter, who pastor nearby UB churches. The worship team was from the Colwood UB church in Caro, Mich. Mike Whipple led the worship time in singing. Then Mark Wilson, pastor of the UB church in Fowlerville, Mich., introduced keynote speaker Dr. Wayne Schmidt, VP for Wesleyan Seminary in Marion, Ind. Mark had served on staff with Dr. Schmidt at Kentwood Community Church in the Grand Rapids area. After the service came a reception, with various goodies. People lingered in the lobby, around the exhibits, for over an hour. It was a good day. Thursday is devoted to business, with several weighty issues on the table. Numerous photos from Tuesday and Wednesday have been posted on the UB Facebook page. Frank and David unloading the trailer. Josh Good and Josh Greenfield assembling a large cutout of the UB logo. Todd Fetters pushing in a cart filled with materials for the conference, as Cathy Reich watches. Cathy Reich giving instructions to volunteers. 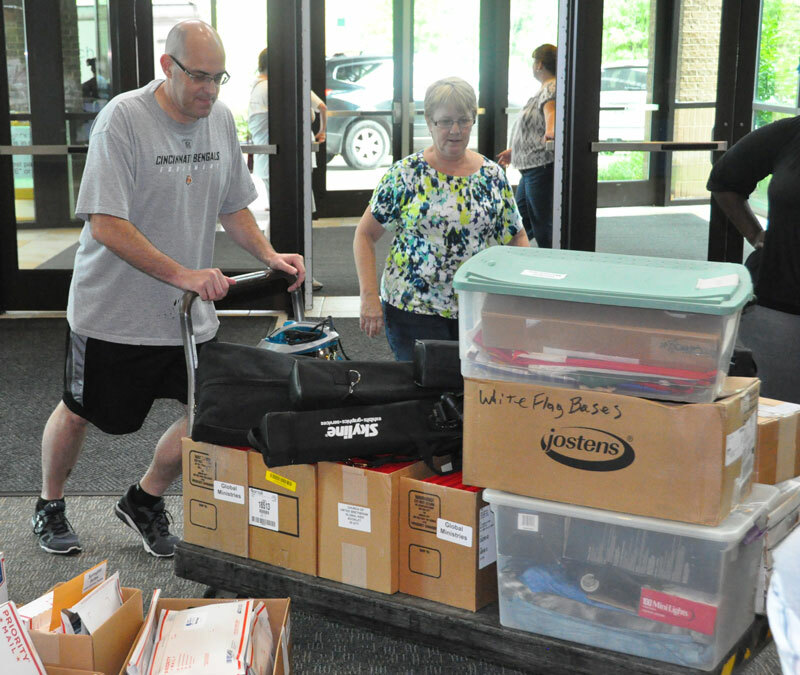 About 40 people gathered in Grand Rapids on Tuesday afternoon, July 14, to begin setting up for the US National Conference, which begins on Wednesday. 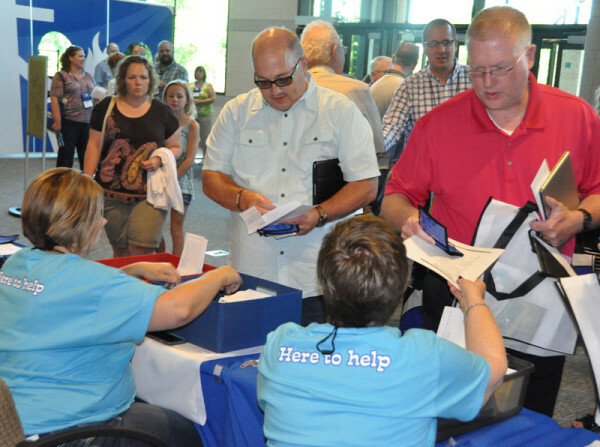 They included 11 persons from the UB National Office in Huntington, Ind., along with 5 spouses. A number of persons from the Grand Rapids area were there, plus assorted others from Virginia, Ohio, and Indiana. They all met around 3:30 at ResLife Church, where the conference will be held. 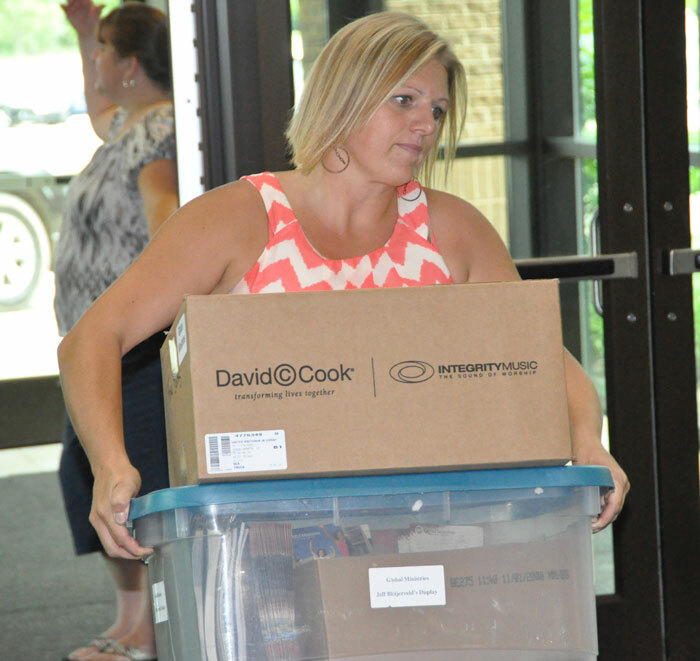 Cathy Reich, administrative assistant to the Bishop’s Office, kept everybody organized. At 6 pm, a meal was held at ResLife for all of the volunteers. Cathy gave instructions so everybody was on the same page. 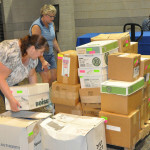 There were various display tables to set up, and a trailer load of materials to unload. 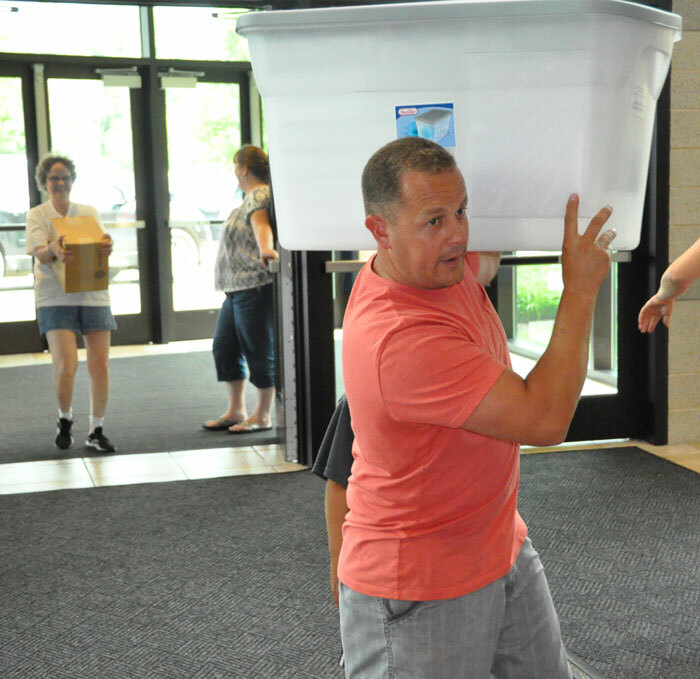 A lot of work, including stuffing all of the attendee packets, was done ahead of time by volunteers organized through the Homefront UB church in Grandville (only a few miles from Reslife Church). That was a big help. Many thanks to Paula Averill, administrative assistant at Homefront, for heading up the volunteers. Registration begins at noon on Wednesday. All morning, volunteers will busily prepare the registration tables and a myriad of details. The conference officially begins at 6:30 with the opening service. Below are some more photos (click to enlarge). 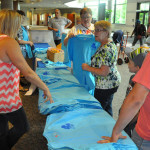 Laying out T-shirts for volunteers and staff. 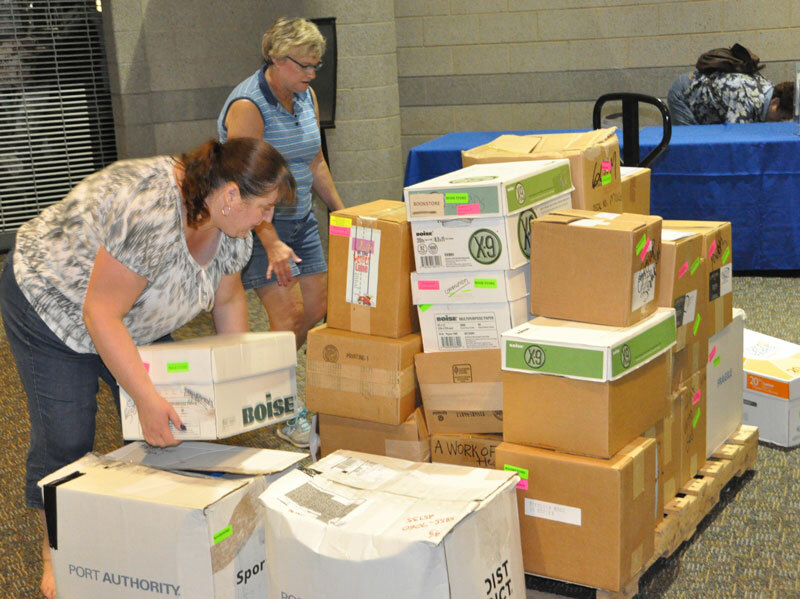 Marci Hammel and Judy Dyer unpacking boxes for the Church Resources table. A little laughter while unloading the trailer. 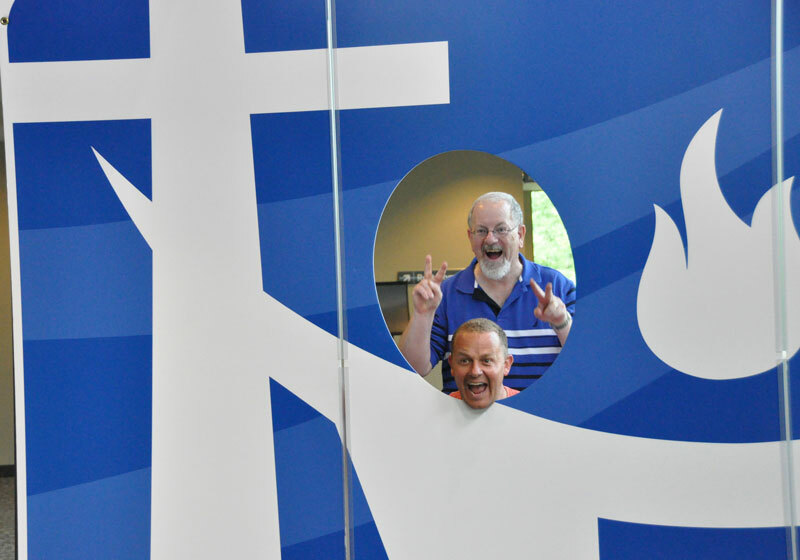 Josh Good and Steve Dennie mugging in the UB logo cutout. Josh Good, pastor of Homefront UB church. 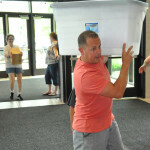 JR Reich, followed by David Kline, bringing boxes into Reslife Church. 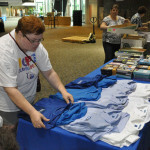 Christy Hoffman, a volunteer from Huntington, arranging new shirts bearing the UB logo. 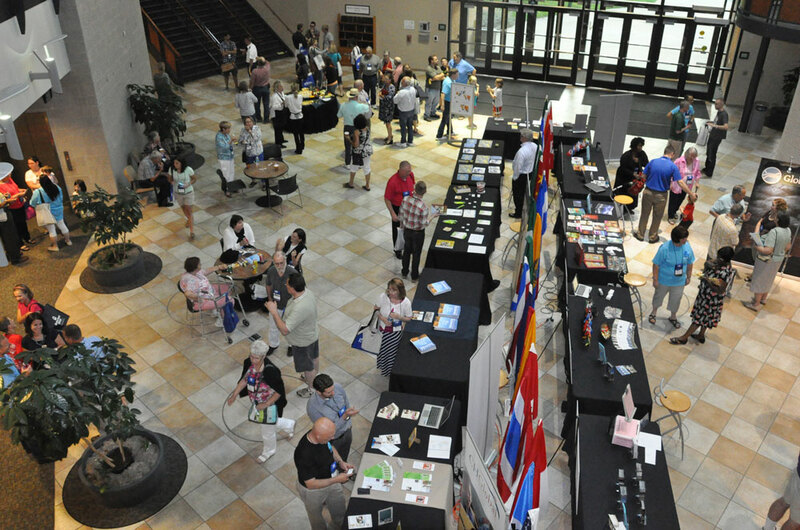 Articles about the July 15-18 US National Conference will be posted on UBCentral.org, the official UB news site. Numerous photos will be posted on the UB Facebook page. Extended information will be sent via Connect, the official denominational e-letter. You can subscribe (free) here. Download the UB App, which contains complete information about the conference. It works on iOS and Android smartphones and tablets. You’ll find download links here.